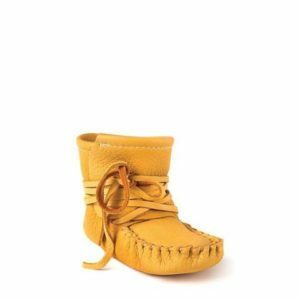 Baby’s fist moccasins in soft deerskin. SKU: N/A. 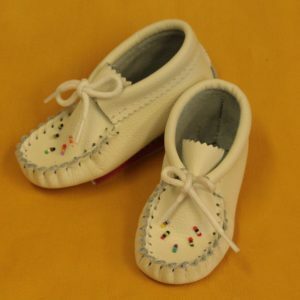 Availability: In stock Shipping Weight: 0.2 kg Category: Children and Baby Moccasins. 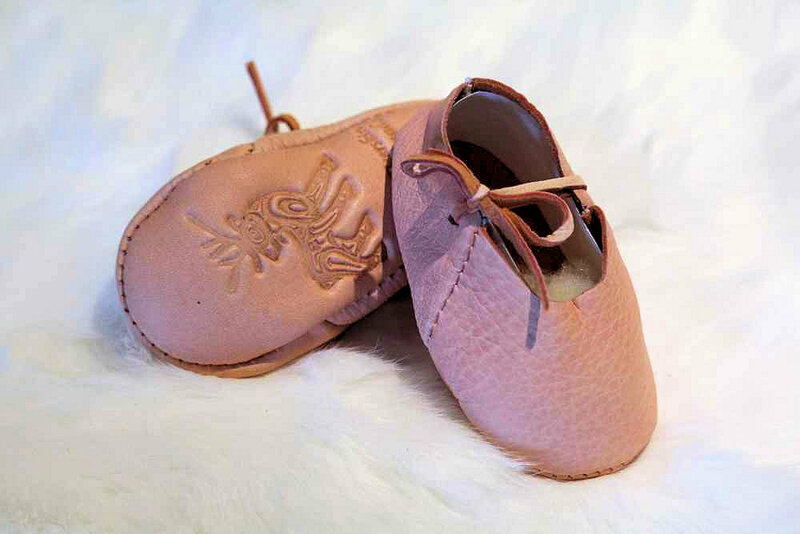 Tags: Children and Baby Moccasins. 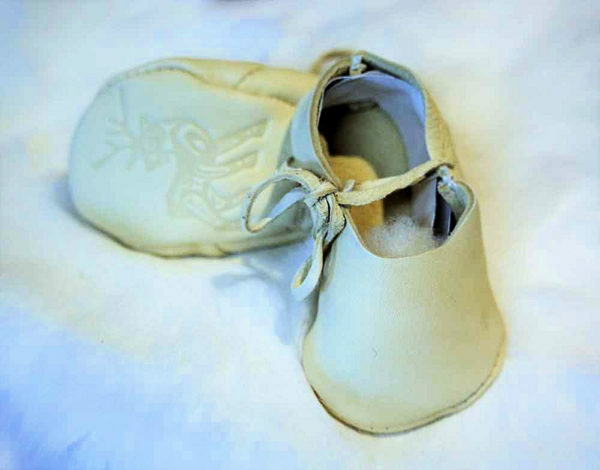 Made for your baby’s First steps! Made from deerskin leather, one size only for infants. 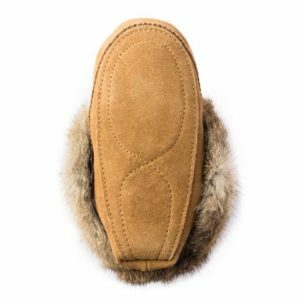 Durable leather grip, and buttery soft. 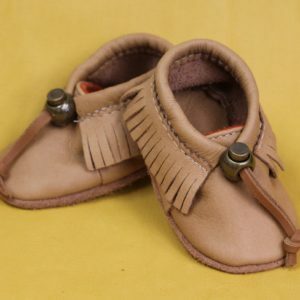 Perfect for your babies first pair of moccasins. 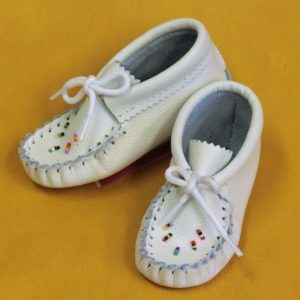 Infant one size 9.5 cm (3 3/4 inches) from heel to toe. 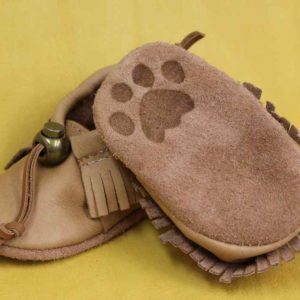 Our Deerskin baby paws feature a non-slip suede sole and full elastic opening for easy dressing. 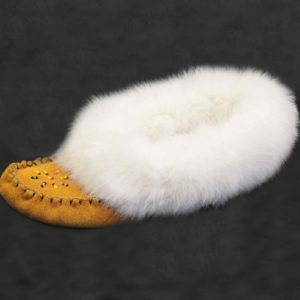 Very soft and comfortable. 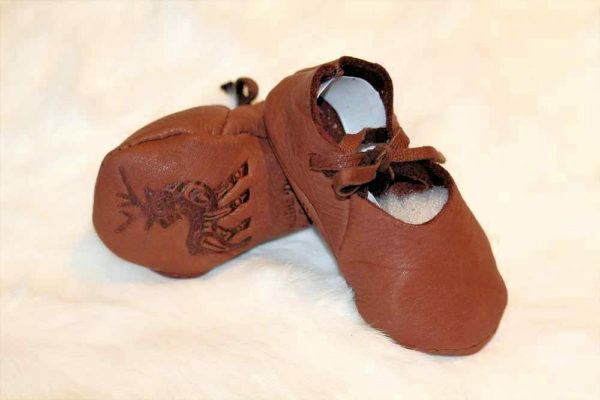 Four sizes, for newborns to 24 months, in your choice from 7 colours. 100% hand made and truly an authentic moccasin! 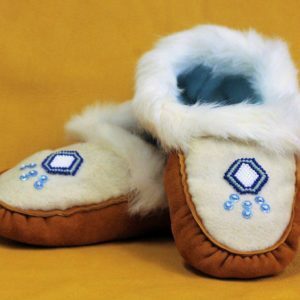 A most loved ladies moccasin. 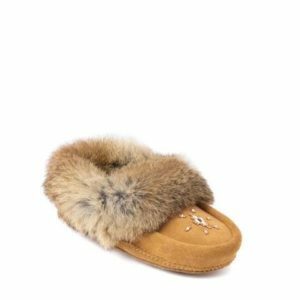 This soft Deerskin slipper is hand laced and features a soft padded insole. 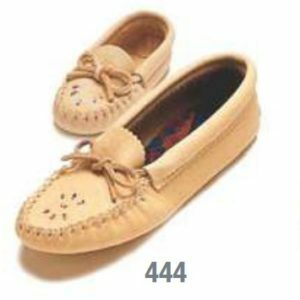 Very comfortable, "like butter on your feet". Nine colours to choose from.